Sanofi’s speciality care global business unit Sanofi Genzyme has announced that the Scottish Medicines Consortium has accepted the company’s Jevtana (cabazitaxel) for routine NHS use for the treatment of metastatic hormone-refractory prostate cancer (mHRPC). 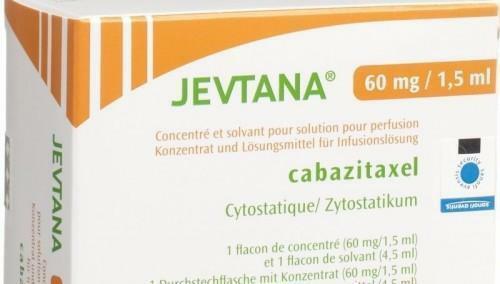 A taxane chemotherapy solution, Jevtana can be used when cancer cells prove resistant to docetaxel and kills cancer by inhibiting cell division. The approval decision was based on data which showed that patients treated with the drug experienced extended survival when compared to an active rival treatment. According to Sanofi, Jevtana is the only chemotherapy option licensed by the UK Health Technologies Assessment agencies (HTA) to treat advanced prostate cancer which has not responded to hormonal therapies after treatment with docetaxel. With the decision, it is now in routine NHS use across all regions of the UK following recommendation from NICE earlier this year. In Scotland, prostate cancer is present in as many as one in eleven men.